Have you ever eaten at a concept restaurant? I probably haven’t, unless you count Chuck E. Cheese, when I was a kid. But they used to be quite popular, and they’ve given a rise to “concept cafes”, funky little themed places to have a small snack and a cup of coffee in an unusual atmosphere. Check out these fun concept cafes from around the world, and vote for which one you’d most like to visit in our poll! 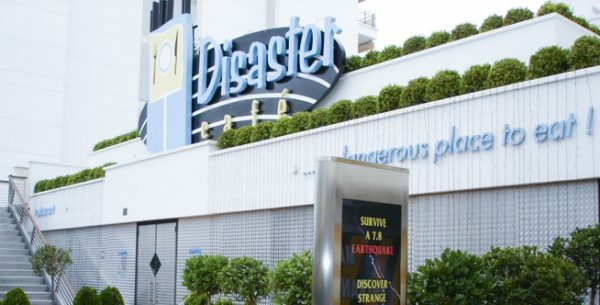 The Disaster Cafe is just what it sounds like – an opportunity to experience a (simulated) natural disaster while you eat! In this case, it’s an earthquake, so maybe don’t wear your Sunday best to this place. Spilled food and drinks are common, although nobody has been injured; just frightened. Who doesn’t love a good scare! Can you eat the rest of your delicious meal after you’ve been surprised by a 7.8 magnitude quake? Do you love kitties, but aren’t allowed to have one? Or perhaps you love them so much that you want to spend even more time with them? 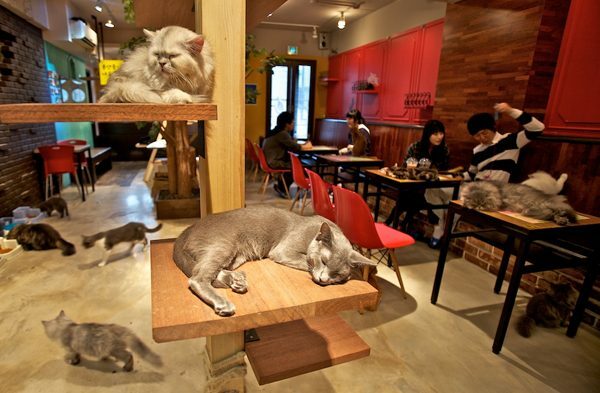 Cafe des Chats is where you can head to get your cat fix on. 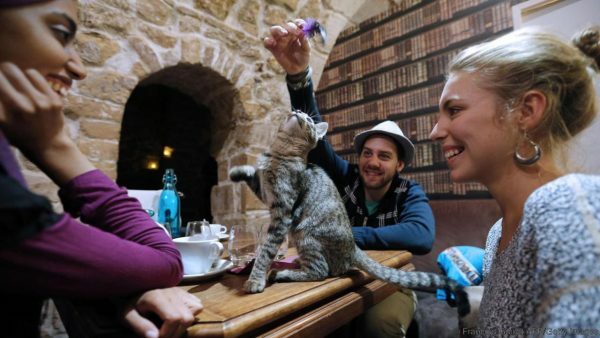 Home to a dozen rescue cats, the owner prides herself on the hygiene of the cafe and having vetted the cats specifically for their social skills and personalities. The cats meander around and join you as you enjoy your coffee and croissant. 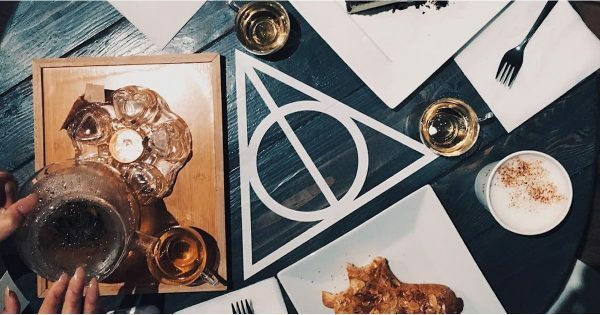 Manage your mischief AND your caffeine addiction at this Harry Potter-themed cafe outside Las Vegas. 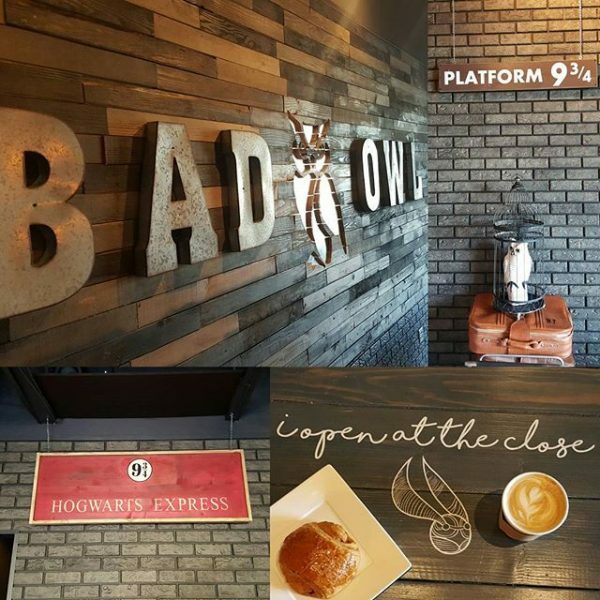 Billing themselves as “Serious Coffee with a Hint of Magic”, you’re sure to find something you can’t live without, whether it’s a familiar concoction, a butterbeer, or a nitrogen-infused cold brew cup of coffee. Muggles welcome. 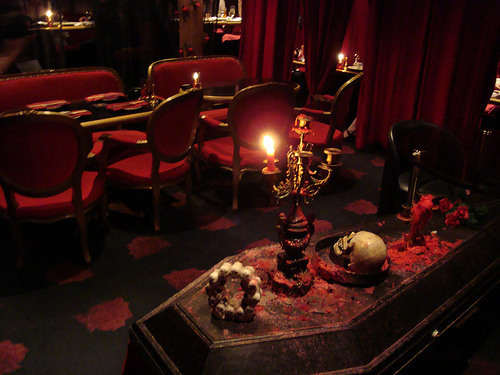 Billed as “Japan’s spookiest restaurant”, the Vampire Cafe invites you into a morbid gothic paradise. Tuxedo-ed waiters and waitresses in French maid outfits glide across the blood-covered floor. While sitting at red velvet-covered thrones, diners can enjoy drinks garnished with miniature skulls. Candlelight flickers as baroque music twinkles through. Sink your teeth into an adorably macabre treat as you enjoy the ambiance. Have you ever wanted to gorge on nothing but cereal and milk for days? You can do just that, at this cafe which serves nothing but. 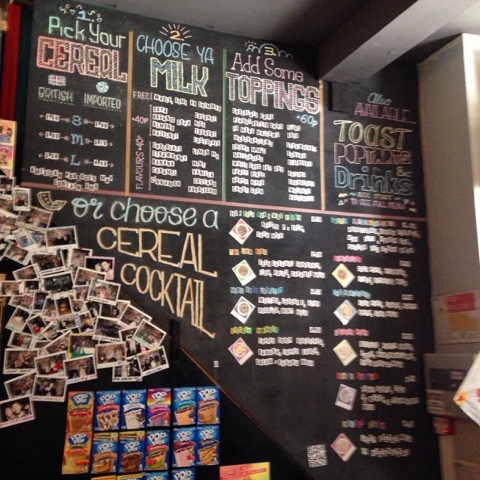 Diners can have breakfast all day here, choosing from 120 different cereals, 20 toppings, and 30 types of milk. 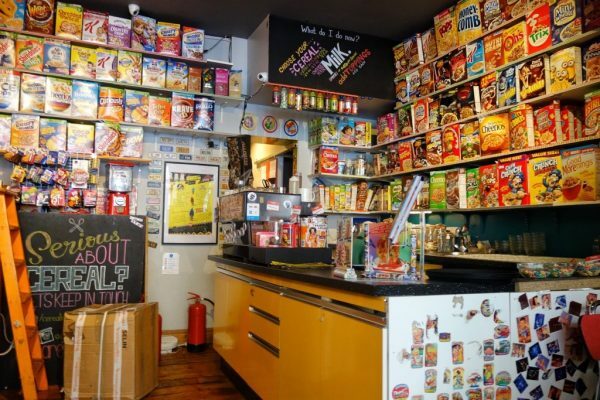 The bright walls showcase cereal boxes, while the shelves are stocked with 80’s and 90’s kitsch. I didn’t even know 30 different kinds of milk EXISTED, but you can have them here, along with toast and pop tarts, if you must.